Posted on March 17, 2014 . As I mentioned many times before, MAC eyeshadows are the best I’ve ever tried. Yes, UD Naked palettes are amazing, pigmentation is unbelievable and probably better value for money in general. But the quality of MAC ones is just superior. How effortlessly and beautifully they blend is out of this world. And that’s what makes them special in my eyes. By the way, you also wouldn’t believe how hard it was to choose my favourite 15 even though I have “only” 19 of them. So let’s get right onto it. Shroom – very light satin beige. It’s the perfect subtle everyday brow bone and inner corner highlighter shade (actually the only kind I like). Brule – light yellowy matte beige, very similar (almost undetectable) to (on) my skin tone. That makes it my blending shadow of choice. 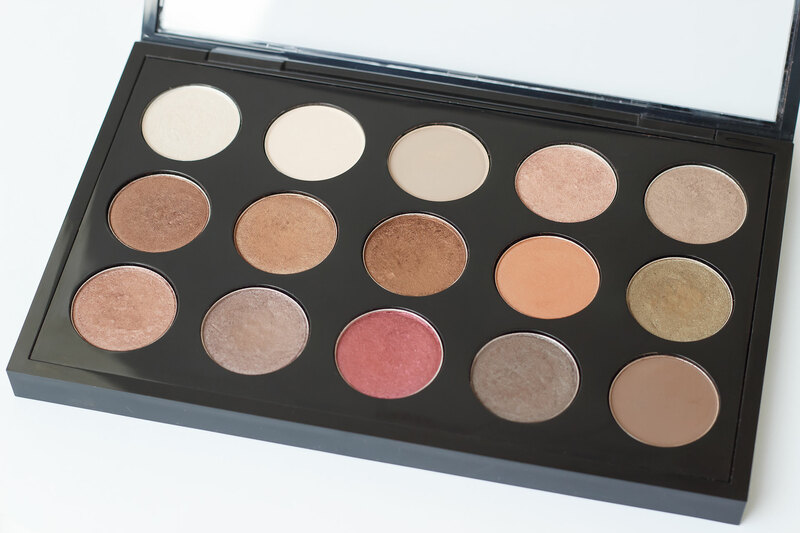 It helps the blending of darker shades up over the crease and to the brow bone to be so easy, soft and seamless. Omega – pale matte beige taupe. Great colour for a softly defined crease. And I’m also using it combined with ‘Espresso’ for filling in my eyebrows. Patina – taupe brown with golden sheen. If you, like me, have to have at least something on your lids even on those lazy days, ‘Patina’ is perfect on its own for a gorgeous naturally looking wash of colour. And on days when you want something more, it can be paired with almost any darker crease colour. Mulch – warm medium brown with bronze shimmer. Great for applying all over the lid and also as a crease shade. Actually, my favourite eyeshadow look at the moment is the combination of ‘Patina’ on the lid and ‘Mulch’ in the crease. Bronze – warm shimmery true bronze. I went through a faze when I wore this shade everyday for a couple of weeks just on its own, that’s how much I love it. It’s not a subtle everyday shade but it’s so easy to work with and warms up your whole face. Texture – warm peachy satin brown. It’s the perfect natural crease colour that warms up any look you’re sporting that day. I like it the most paired up with just a light beige/brown on the lid. Sable – plummy shimmery bronze. It’s very hard to describe this colour because it has a bit of everything and that’s what makes it so beautiful and versatile. I sometimes use it on the lid with a deeper colour in the crease or as a crease colour that goes with everything. Satin Taupe – purple taupe with silver shimmer. It doesn’t look like much in the swatch but it’s another one of those multicoloured eyeshadow. I love how it looks like I used more than one eyeshadow on my eyes. Espresso – neutral toned matte dark brown. It’s as intense crease shade as you want. Also the perfect shade for the arch and the tale of my eyebrows.